Just get on Pinterest and type “under stair storage.” For every kind of stairs, there’s pin-able inspiration. This kind of storage might require a little light demo and renovation, but if you’ve got a large family’s worth of winter gear, sports supplies, or knickknacks to hide, it’s well worth it. Pin it here. You can turn your home into the set of a spy movie with hidden storage for worldly jewels and national secrets (or junk you just can’t get rid of) by adding in storage space behind mirrors and art. Or, buy tabletop accessories that look like mere bookshelf details (like these neat “books”) but really hide troublesome wires or small junk-drawer escapees. Pin it. If you don’t mind the idea of decorating with what you use—aka, kitchen supplies or spices being visible to guests—then this trick will max out wall space you’ve probably never even noticed. If you have blank wall space in your kitchen, say, near the sink, at the end of the counter, or on the side of the island, and a wide walkway by it, try hanging some utensils, pans, or cutting boards there, which will in turn free up inside cabinet storage for less-visually appealing items. Pin it. 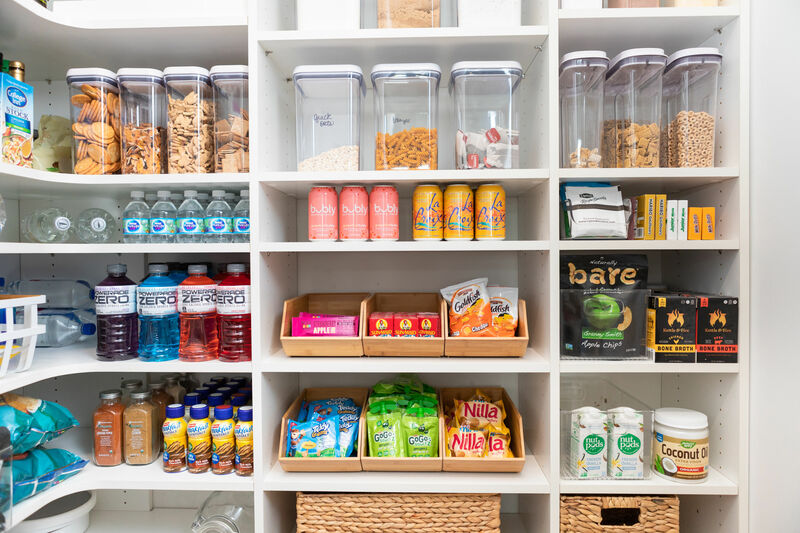 This storage isn’t hidden to the eye—in fact, it’s in plain sight. Maybe that’s why it’s often forgotten and underutilized? But, behold—the power of a tray. Anywhere a tray fits is storage waiting to happen. Corral spices, oils, sprays, and utensils you use daily by the stovetop. Herd miscellaneous beauty products into small bowls and jars on a tray in the bathroom. Organize your most-used office supplies on a tray on the corner of your desk. Ta-da! Organized, but within reach. Used to be, you could buy an ottoman, a bench, or maybe a coffee table with some smart, discreet, built-in storage. These days they make bed frames, chairs, and even tiny side tables with hidden storage. Even if it’s just enough to fit the remote control, that’s a little less clutter on the table. Pinterest / Nina Hendrick Design Co. This may not work in every kitchen setup, but it’s worth checking. 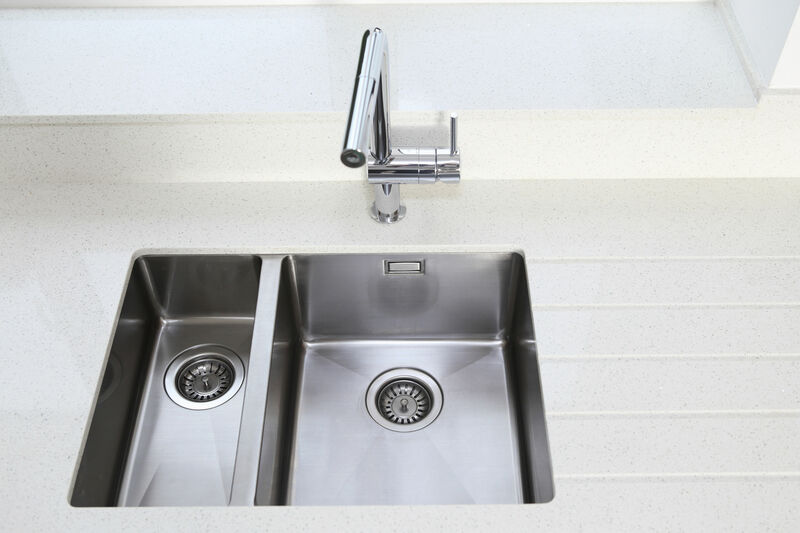 Tuck large kitchen bowls and supplies into the cavernous space above your range for out-of-sight storage. Get the idea here. The oldest trick in the book, but so underutilized. 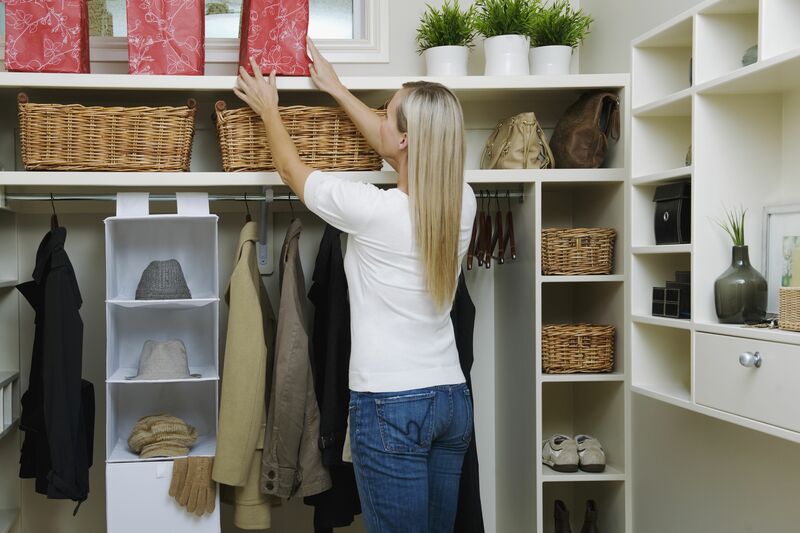 Use the inside of bedroom, bathroom, and coat closet doors to organize everything from craft supplies to outfit accessories. Pin it.